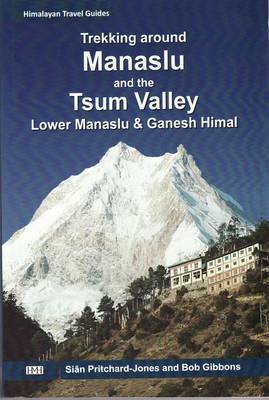 Trekking around Manaslu and the Tsum Valley features the two main treks as well as trails in Lower Manaslu around Gorkha and as far as Rupina La Trek, in the Ganesh area and Ruby Valley. The guide offers practical information, route instructions, planning advice and an introduction to the culture and the past of this remote and charming area. 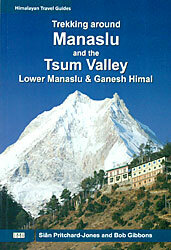 The book starts with background information including the geography, climate, history of Nepal. It then tackles the practicalities to get to Nepal, visa information and money; while a Trek Planning section elaborates on trek Permit, advice on budgeting, group and independent trekking, food, accommodation, what to take and recommended maps. A Health and Safety chapter deals with altitude sickness and precautions, mountain safety, weather and security. The trekking routes descriptions indicate approximate distances, timings, gradings and altitudes, and they mostly detail the trek on a day to day progress rather than every stage. Reference map extracts, alternative trips, new trekking destinations, facts about the mountains, local people, culture and festivals are also included. The book concludes with a map of Nepal and localized map extracts at approximately 1:500,000, trek summaries and suggested schedule, some useful words, terminology and definitions, and tour operators contacts.